This week's Red Dead Redemption 2 Online Beta update doesn't add a new mode to the list, but it does give players a new care package, new clothing, bonuses on some online modes, and discounts on ammo. Players can access the new care package from any post office or their Camp's Lockbox. The package contains a range of Potent Tonics: three Potent Miracle Tonics, three Potent Snake Oils, three Potent Health Cures, and three Potent Bitters. RDO$ and Gold bonuses arrive this week for all Showdown Modes, Races and Gun Rush. All of these modes will reward 1.5x RDO$ and Gold, including the newest modes Plunder, Target Races, Up In Smoke, and Spoils of War. In addition to those, players can get their hands on 1.5x Gold in A Land of Opportunities Missions, all Free Roam Missions, and all Free Roam Events. The care package, bonuses and discounts are all available now. We've got the full list of Red Dead Redemption 2 achievements - check the list for guides to unlocking them. 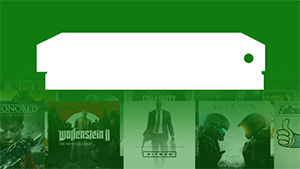 Check out our Best Xbox One First-Person Shooters Available in 2019 article for a compilation of other great games in this genre.